Panna cotta (Italian for “cooked cream”) is a delicious dessert that originated in northern Italy. 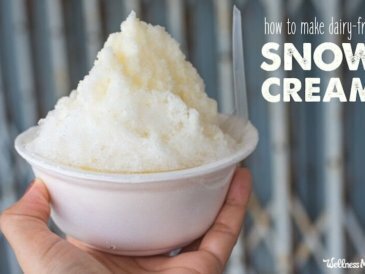 It is made from simmering a mixture of cream, milk, and sugar (and don’t forget the fresh vanilla bean!) and then adding gelatin and chilling until set. I’ve also dressed up this dessert for special occasions (like a date night in) with a drizzle of honey, some fresh berries, and even a splash of Marsala wine. I’ve even made this for birthdays before in place of cake or ice cream and it was a hit! To me the best recipe is also one with real food, healthy fats, and lots of nutrition. Panna cotta fits the bill. 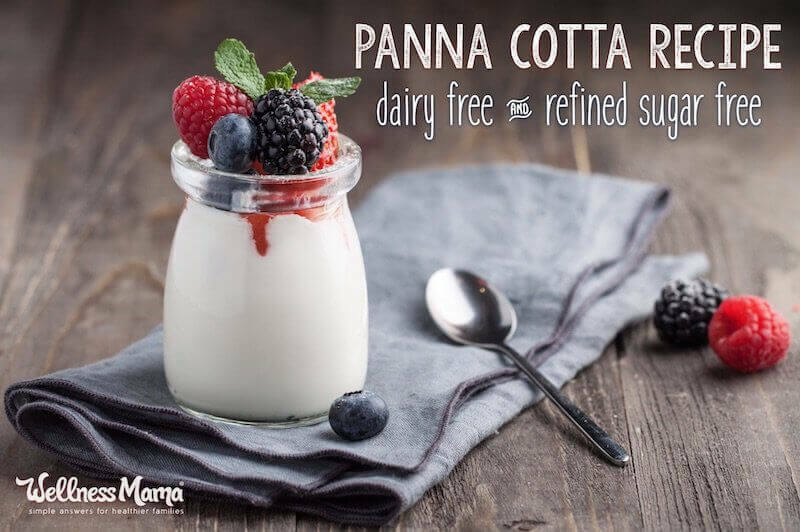 Just by its nature panna cotta is gluten free and grain free, but I wanted to find a dairy-free version as well. 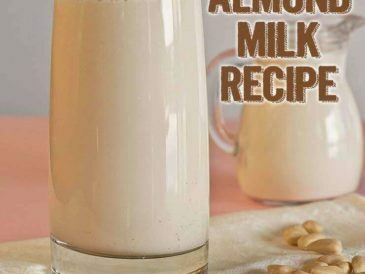 For this recipe, I used my homemade almond milk and homemade coconut milk, though store-bought versions will work as well. 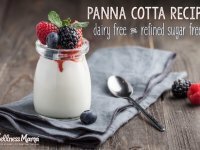 I love that this panna cotta recipe can be lightly sweetened, just fruit sweetened, or even completely unsweetened. The gelatin whipped with creamy milk creates a silk-like texture that is a favorite of kids and adults alike in our house. Delicious and creamy homemade coconut milk panna cotta is a perfect nutrient-rich treat for any time of year. With healthy fats, skin-healthy gelatin, and a hint of vanilla it's a family favorite at our house! Pour both milks into a medium saucepan and sprinkle gelatin over the top. Gently whisk in gelatin and wait 5 minutes before turning on the heat to allow the gelatin to soften. Add honey and maple syrup and vanilla to saucepan. Heat over medium heat, stirring constantly, until milk is hot enough to steam. Do not boil as this will deactivate the gelling properties of the gelatin. Lightly grease small bowls or molds with coconut oil and pour the heated mixture into the bowls. Cover and place in the refrigerator for 5-6 hours or overnight. Serve in bowls or gently turn out onto serving dishes and add toppings. 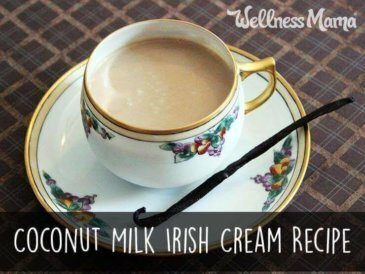 Coconut milk or almond milk may be used, just use 4 cups of milk total. 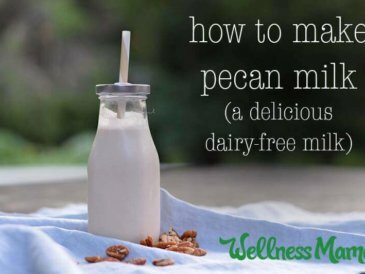 Dairy milk also works well for this recipe. Make sure that the gelatin is actual gelatin and not collagen hydrolysate/collagen peptides or it will not gel. 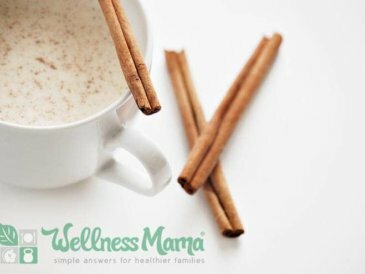 Honey or maple syrup can be used alone or left out completely. Fresh fruit puree can also be used for natural sweetness. 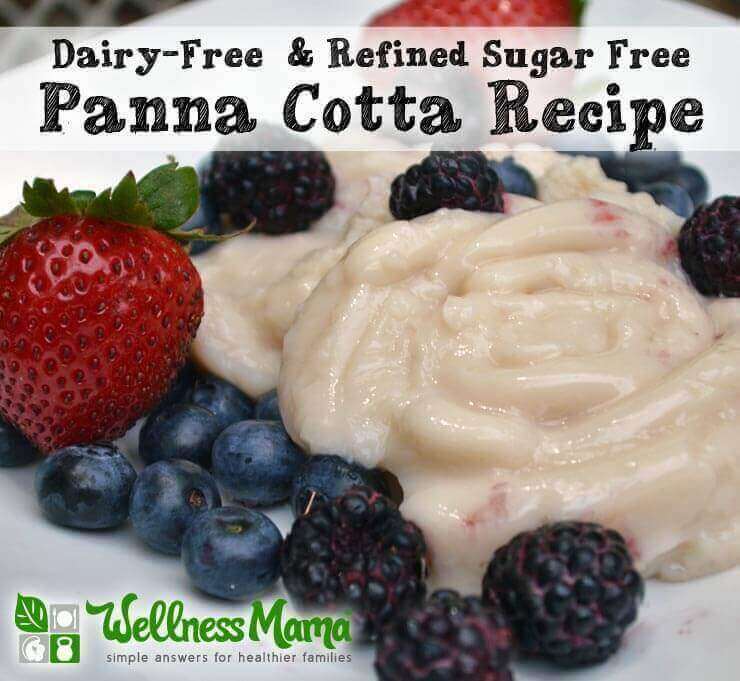 Have you ever made panna cotta? How was it? Share below!